Get away for a weekend of romance, relaxation or family time on the beach with one of these great Cape Cod vacation packages. The Chatham Inn is a luxurious historic inn that is close to the Chatham Lighthouse Beach in Cape Cod. The rooms at the inn are elegant, and the suites have fireplaces and vaulted ceilings. The Chatham Inn Romance Package offers the perfect weekend getaway for couples. The package includes a flower arrangement and special hand crafted artisan chocolates guests will find in their room. They can also enjoy a leisure breakfast every morning and explore the beautiful gardens or relax on the veranda porch with Adirondack chairs beside the fire pit. The package costs $125 in addition to the accommodation charges. Platinum Pebble Boutique Inn is a beautiful bed and breakfast inn located in a sea captain's house in Cape Cod. The hotel is offering the Couples Adventure package, which features a welcome amenity of Chilean wine and gourmet chocolates on arrival. Couples are taken on a guided kayak or stand up paddle board tour through the scenic back waterways of Cape Cod. Included is an oyster farm tour with tasting, and guests can enjoy a gourmet breakfast every morning in the comforts of the room or poolside. The tour depends on the tide and is flexible. The rate starts from $299 in addition to the room rates, and a minimum two-night stay is required. Heritage House Hotel is a charming hotel near the Hyannis Inner Harbor in Cape Cod that boasts comfortable accommodations and family suites with modern amenities. The hotel is offering the Cape Escape package. Guests can relax for two days in the heart of Hyannis with this package that includes deluxe accommodations and breakfast every morning for two. Included is a three course dinner for two on Friday or Saturday evening. Guests also receive access to the outdoor and indoor pools, hot tub, and sauna. The package starts from $279 for two and includes taxes. Ocean Park Inn Cape Cod is a tranquil hotel near Nauset Light Beach. The accommodations are bright and cheerful and amenities include an outdoor pool, BBQ options, and access to a nearby tennis court, gym, and sauna. The hotel is offering the Cape Cod Pet Package. The package is ideal for guests traveling with pets, and the beautiful lawns and easy access to the nearby local trails are perfect for walking and exploring with your pet. The package includes overnight accommodations for two and gourmet treats, and pets will receive two dog bowls for use during the stay. The hotel charges a $25 pet fee per night, per pet. Yarmouth Resort is a charming hotel near Craigville Beach, Cape Cod that features contemporary accommodations and modern amenities. The Jacuzzi Hot Tub package offered by the resort includes overnight accommodations in a deluxe suite, which features a Jacuzzi tub, and guests will receive a welcome amenity of a bottle of champagne and chocolate truffles on arrival. The package also includes a dinner allowance at the Yarmouth House Restaurant located near the resort. Rates start from $99 per person during off season and $119 per person during the summer season. Taxes apply. ShoreWay Acres Inn is a beautiful hotel located in a building dating back to 1806 in Cape Cod. This family run inn that is spread across six buildings features traditional rooms with modern amenities. The hotel is offering the Honeymoon Package for newlyweds to enjoy a romantic getaway in the midst of the Historic Falmouth Village. The package includes five nights of accommodation with a complimentary bottle of champagne and a honeymoon welcome package that features discount certificates for local dining and attractions. Couples also receive breakfast every morning and two round trip ferry tickets to the famous island of Martha's Vineyard. Cape Wind is a waterfront resort located on the shores of the scenic Great Pond in Cape Cod. It features modern rooms with private entrances that showcase spectacular views of the water and scenery. The hotel is offering the Beach Picnic package, allowing guests to relax under the sun on one of the most scenic beaches of the Cape. The package includes a family friendly basket that is brimming with snacks, goodies, and a beautiful beach blanket. Guests also have access to amenities like kayaks, a dock, and volleyball, and they can explore the impressive grounds with gazebos. Wellfleet Motel & Lodge is a charming motel in South Wellfleet, Cape Cod. The motel features comfortable accommodations with modern amenities that include an indoor and outdoor saltwater pool, a smoothie bar, and a breakfast cafe. The hotel is offering the Bed and Breakfast package for visitors. The package affords guests comfortable accommodations and the opportunity to enjoy a leisurely breakfast every morning while admiring the scenic views of the area. Included in the breakfast amenity is a choice of tea, coffee, milk, or juice. The package costs $10 in addition to the room rate. Cape Cod Family Resort is a seasonal resort in Cape Cod. The hotel features classic accommodations with amenities that include a 9-hole mini golf course, an arcade, and pool with a hot tub. The resort is offering an affordable family vacation with the Stay N' Play package. Families can enjoy a memorable holiday with this package that includes free admissions to the Cape Cod Inflatable Park; guests receive a maximum of four passes per room. Included is also one free child's meal from the Shark Bites Cafe when an adult purchases an entree from the adult menu. Guests can book accommodations online or over the phone to receive the benefits of this package. Handkerchief Shoals Inn is a charming hotel close to the Chatham Lighthouse and beach in Cape Cod. The hotel is offering the Weekdays in Summer package. Guests can have the ideal summer vacation when the beaches are less crowded and lesser traffic. The package includes a room of choice from Sunday through Thursday, and guests receive complimentary continental breakfast every morning as well as internet, air-conditioning, and in-room coffee. The rates for the rooms are discounted by $20 per night when guests book for two nights. For reservations of three or more nights, the discount offered is $30 per night. Bayside Resort Hotel is a beautiful resort near the Cape Cod National Seashore. The resort features elegant rooms and amenities that include a beach volleyball court, fire pits, and indoor and outdoor pools with poolside dining. The hotel is offering the Martha's Vineyard - Nantucket package, where guests can take a guided tour or explore the island by scooter or car. The package includes one or more nights of accommodations and complimentary continental breakfast every morning. Guests receive a round trip fast ferry tickets to Martha's Vineyard or Nantucket, while children under five years of age are offered a complimentary ride. DoubleTree by Hilton Hotel in Cape Code is an elegant hotel with landscaped grounds. The hotel features custom-designed beds with a contemporary decor, while suites have a separate living area. The Family Time package offered by this hotel ensures guests will create memories of a lifetime. They have the privilege of late checkout on the weekends, and the package includes a complimentary large breakfast that will set the mood for an adventurous day. Included is access to premium Wi-Fi, a lobby bar serving evening meals, an outdoor pool, a fitness center and complimentary parking. Ocean Edge Resort & Golf Club is an iconic golf resort set in a historic 19th century mansion. The Take a Bike Package is offered to guests staying at one of the renovated guest rooms adjacent to The Mansion or The Villages. The package features brand new Freedom Flyer bikes that are perfect for any kind of speed. Guests can explore the 429 acres of the resort and the historic Cape Cod Bike and Rail Trail. The package is valid from April 15 through October 31, and it includes half-day bike rental, complimentary breakfast, and choice of accommodations. The resort fee and taxes apply. Surfside Hotel & Suites is a seasonal waterfront hotel at Cape Cod. The amenities at this hotel include a private beach, outdoor saltwater pool, and a cocktail bar with a fire pit. The hotel is offering the Whale Watching package from September 14 to October 31 when guests have an opportunity to encounter these magnificent creatures aboard the Dolphin Fleet. The package includes two night's overnight accommodations and two tickets to the Dolphin Fleet Whale Watch. Guests also receive complimentary breakfast every morning and free car parking. Rates start from $309, and taxes apply. Cape Colony Inn is a charming retreat located near the city's shopping and entertainment center on Commercial Street in Cape Cod. The inn is offering the Fishing Package, which gives visitors an opportunity to stay and fish in the pristine waters that surround Provincetown. With this package, guests receive a 10% discount on the charter fishing and harbor cruise on Beth Ann Charters. Guests also receive a complimentary continental breakfast every morning, free parking, and access to the picnic area with the BBQ grills, heated outdoor pool, horseshoes, shuffleboard, and volleyball court. Hampton Inn & Suites is an elegant hotel in Cape Cod located near the Myles Standish State Forest. The hotel is offering a fun and affordable package, the Pizza Party Family Getaway. Guests have access to the indoor pool, family game room, and the whirlpool spa. Included in the package is a complimentary hot breakfast the following morning. The package also offers two large pizzas, popcorn, an in-room microwave, and a refrigerator. Guests also receive movie tickets for four to Regal Cinemas and the use of the Xbox Kinect. Wequassett Resort and Golf Club is an elegant golf resort located in Cape Cod. The accommodations are contemporary, and they feature spectacular views of the landscaped grounds and the pristine water. The hotel is offering the Preferred Family Seal Watch package. Guests with children will enjoy the water adventure as they connect to nature and entertain themselves by watching the antics of the seals basking under the sun just off the coast of Chatham. Guests also receive access to amenities like the pools, beaches, tennis courts, children's center, and fine dining options, and they can even sign up for a game of golf. The Provincetown Hotel is a luxurious retreat set in a 19th century building in Cape Cod. The hotel is offering the Wine Adventure package. The package includes a bottle of Sauvignon Blanc or Cabernet Franc with a selection of cheese. Included are two tickets to Truro Vineyard wine tasting, two Gabriel's custom made glasses, and a corkscrew as a souvenir. Other amenities include complimentary breakfast every morning, coffee or tea all day, and afternoon snacks, and they can use the shuttle service from the airport and town pier. Rates start from $45 per person. Anchor In Hotel is a luxurious hotel near the Hyannis Inner Harbor in Cape Cod. The hotel is offering the Cape Cod Golf package, which includes deluxe waterfront overnight accommodations and a round of golf for every night of stay. The golf cart is included, and guests have a choice of several top Cape Cod golf courses where they can play. 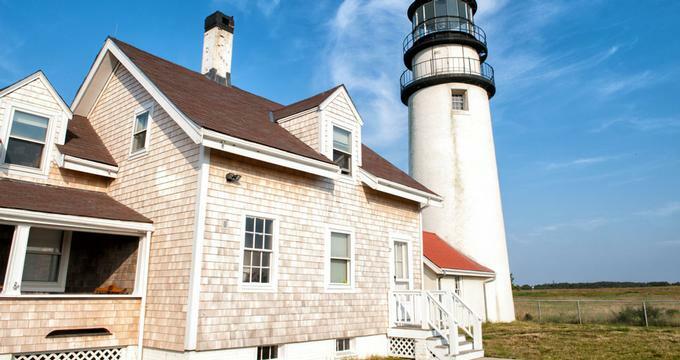 The package also includes a deluxe continental breakfast every morning at the Lewis Bay Library, which overlooks the Hyannis Harbor. Guests also receive amenities that include a heated outdoor pool, a patio with a fire pit, and a library with a fireplace. Cape Cod Irish Village is a modern all suite hotel near the beach in Cape Cod. The amenities at this hotel include an outdoor and indoor pool with a whirlpool and an Irish pub that features live entertainment. The hotel is offering the Holiday Package plan, where children under six years of age stay free, but meals are extra. Included in the package are two nights of accommodation with two full breakfasts and one dinner. Rates start from $199 per person. The package offers a special meal plan for children, and rates start from $30 for children six to twelve years old.